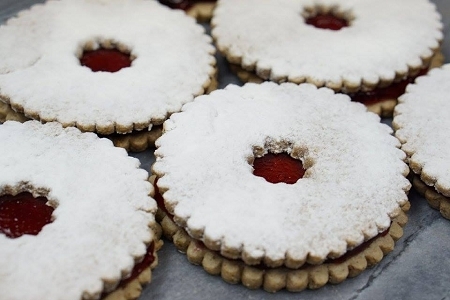 Sweet raspberry jam sandwiched in between 2 tender pecan cookies topped with powder sugar! For local delivery or pick up only (this item will not ship!) Deliveries to Bard College are made to the Security office only.